Poor Richard, An Almanac for Architects and Planners collects together commentary, proverbs, and witticisms that originally appeared via The Outlaw Urbanist. 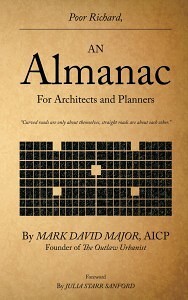 Drawing inspiration from American Founding Fathers, Benjamin Franklin and Thomas Jefferson, as well as many others, author Mark David Major crafts anew a series of astute observations, common sense proverbs, and general rules of thumb for anyone interested in the architecture, urban design and planning of our cities. 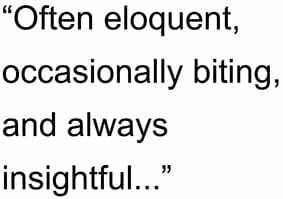 Often eloquent, occasionally biting, and always insightful, these witticisms offer a valuable resource for the entire year, daily reminders for everyone involved in the building of our cities of their better angels and warning them against the worse demons of human nature. The unmistakeable message of Poor Richard, An Almanac for Architects and Planners, with foreword by Julia Starr Sanford, is we can do better for our cities, we must do better for our cities, and, before the 20th century, we did do better for our cities. 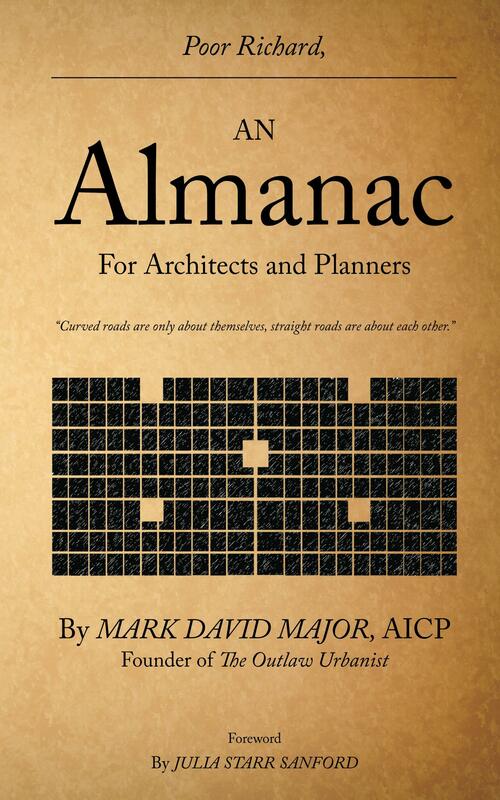 Poor Richard, An Almanac for Architects and Planners (Volume 1 of the Poor Richard series) is available for purchase from CreateSpace, Amazon, iBooks, and other online retailers around the world. Be sure to check the online store in your country/currency (USA stores available below).